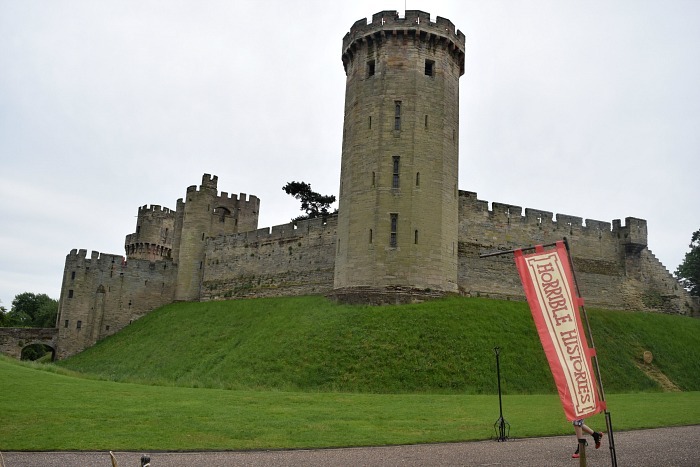 On Wednesday, we went to Warwick Castle to see their Horrible Histories Wicked Warwick Live stage show and The W Factor auditions. 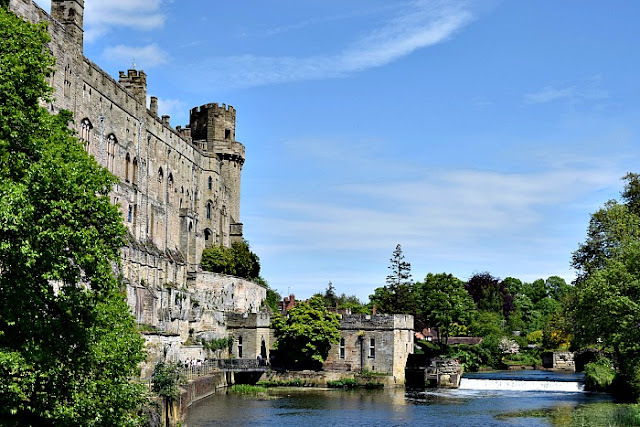 Warwick Castle is my all time favourite castle to visit and I find the history fascinating. My favourite era being The War of the Roses. The Wicked Warwick Live stage show picked fun at all the important past owners and residents of Warwick Castle and I have to say not only did the kids find it hilarious but I rather enjoyed it too! 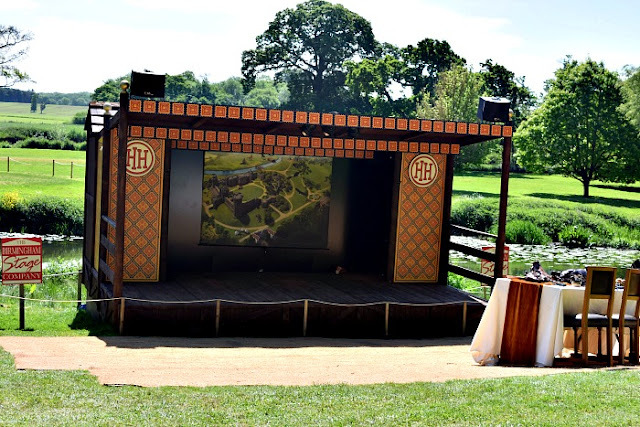 The stage show is on twice every day until 6th September so you have plenty of time to catch it! 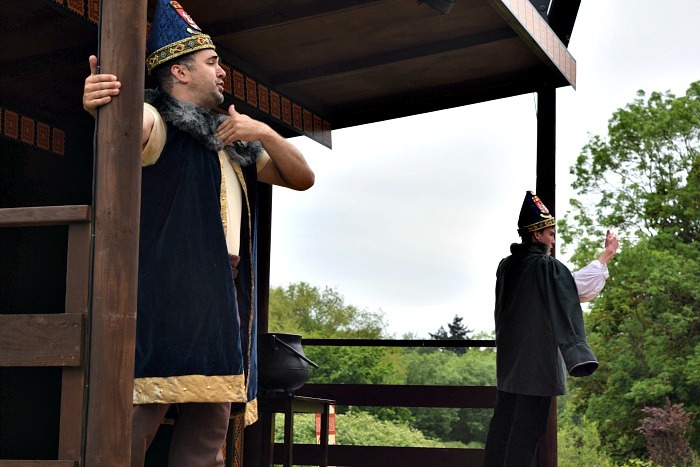 We were invited along for The W Factor, a great competition held where members of the public could perform horrible history inspired acts in order to win a cameo role in the show and a mediaeval glamping break! 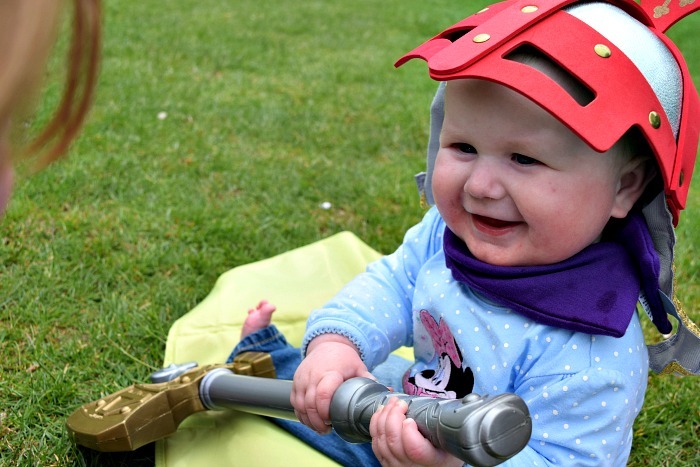 We did have a spot to audition and I was excited to train Gracie up but unfortunately she was poorly for the 10 days before thanks to Chicken Pox and so we had nothing prepared. She genuinely thought she could go on stage and sing 'Let it go' until I told her otherwise. She then decided she would tell jokes, I researched jokes whilst watching the other awesome acts before us and Gracie just wouldn't remember them and can't read yet so it ended in tears! We soon distracted her with some lunch and agreeing she can go on stage next time (praying that she soon forgets!). Anyway we saw some fantastic, funny and horrible acts all deserving of the fab prize and it was great watching them compete for the best scores from the harsh judges. 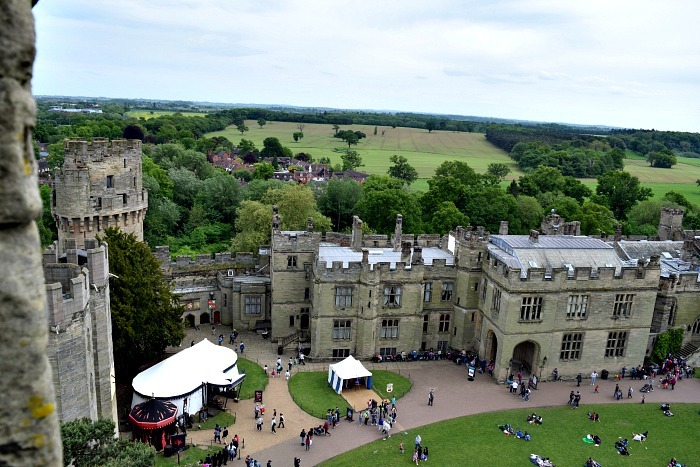 We did miss the second set of auditions as me and Gracie decided to climb Guy's Tower and were longer than expected getting up and back down. It was an amazing thing to do together though. She loved walking up, seeing the views and waving to Daddy, Zach and Elsie (who apparently looked like teeny ants) from the top of the tower . 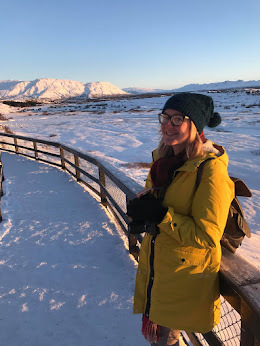 The kids have a huge love for Castles at the moment which is great and standing at the top with the wind blowing in our faces with Gracie declaring it was 'the best day ever!' was pretty good. We also got to go in the Great Hall this time, it was closed for a Wedding last time we came so I never got to show the kids. 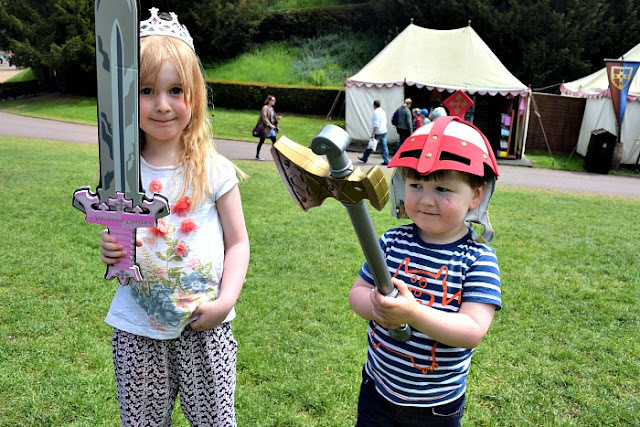 They loved seeing all the knights armour and swords, especially as they had both been treated to dressing up bits from the shop, a tiara and sword for Gracie (The Princess Knight) and a Knights hat and axe for Zach so of course they are honorary knights themselves now. Warwick Castle is just a beautiful place to visit, with so much to do for all ages! In fact not once have we managed to do everything in one day yet. If you get chance over the summer I really do recommend you plan a visit, take in the views, explore the grounds and completely indulge in everything Warwick has to offer.